As of this morning, Sony has a brand new device available in the United States. 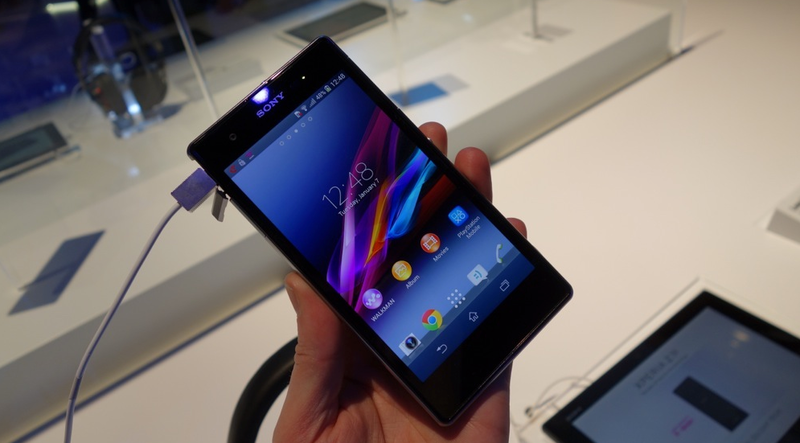 Online through T-Mobile, you can grab the Xperia Z1S, which was announced last week during CES in Las Vegas. If you are a T-Mobile customer or plan on making the switch soon, the Z1S won’t be a terrible decision. For specs, the device is rocking a 5.0″ 1920 x 1080 HD display, Snapdragon 800 quad-core processor clocked at 2.2GHz, 3,000mAh battery, Android 4.3, 20.7MP rear-facing camera, microSD slot, and access to T-Mobile’s 4G LTE network wherever you can find it. The device retails for $528 off contract or $22 a month with $0 down on contract for “well-qualified” buyers. We had a few minutes to spend with Sony’s newest device to hit the US while at CES last week – for the most part, we kind of liked it. It has the same body as all of the other Xperia phones from last year, but unfortunately, Sony’s custom skin UI is still onboard and doesn’t serve much purpose. Check out our hands-on here.